The November 2015 Seminar was a HUGE success! Thanks to everyone who attended. See what you missed below and join us in January for our next seminar! 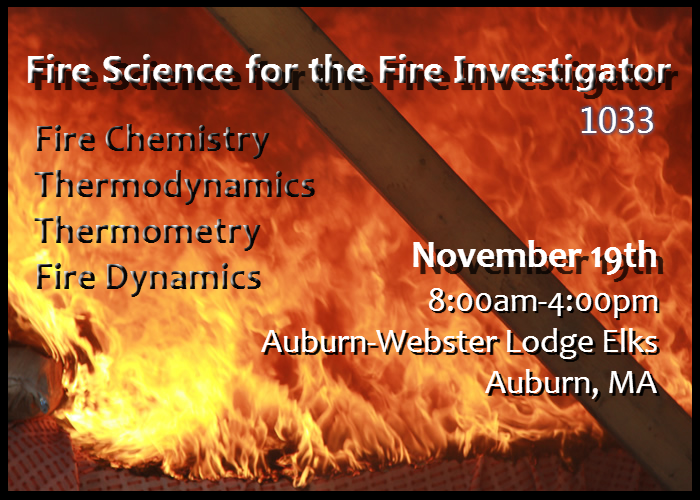 The November Seminar was a continuation of 1033 topics with Jon Jones Speaking on Fire Chemistry, Thermodynamics, Thermometry and Fire Dynamics. Jon Jones, a fire protection consultant from Lunenburg, Massachusetts holds Bachelors and Masters Degree in science education and is a member of the NFPA and SFPE. Jon served as a call fire fighter on the Lunenburg Fire Department for more than 35 years; he has served on the staff of NFPA and as Fire Marshal at the University of Massachusetts Medical Center. 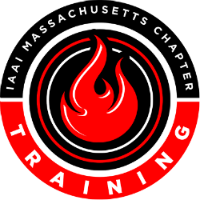 He served as the chair of the NFPA Technical Committee on Industrial Fire Brigades Professional Qualifications (NFPA 1081), as a member of the NFPA Technical Correlating Committee on Professional Qualifications and chair of the Massachusetts Board of Fire Prevention Regulations. He is currently a member of the NFPA Technical Committee on Fire Inspector Professional Qualifications (NFPA 1031). 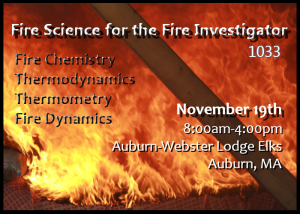 Jon has worked with NFPA and the IAAI on the development of several programs focused on fire prevention and investigation and served for several years as the project manager of the IAAI Fire Investigator Distance Learning project – CFITrainer.net.